Some love it. Some can’t live without it and then there are some who can’t wait to get their hands on one. Yes, the Apple iPhone has been a revolutionary product and is still one of the most extraordinary smartphones out there. 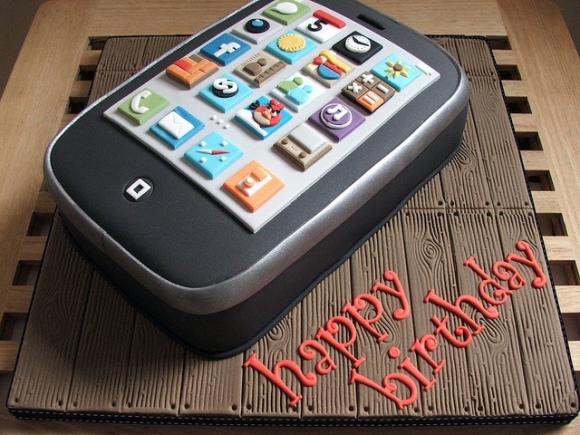 So today Apple’s iPhone celebrates its 5th birthday. The first iPhone was launched on the 29th of June 2007 and we have seen it mature into a worldwide sensation. And that is not all; we will be seeing the 6th generation iPhone/iPhone 5 launch this year (hopefully). Steve Jobs’ brilliant vision and genius mind has made Apple reach sky-rocketing profits, and that is mostly thanks to the iPhone. Even though the iPhone has faced some competition from some high-end smartphones, it has still managed to keep its pedigree. Well all we can say is ‘If you don’t have an iPhone, you don’t have an iPhone.